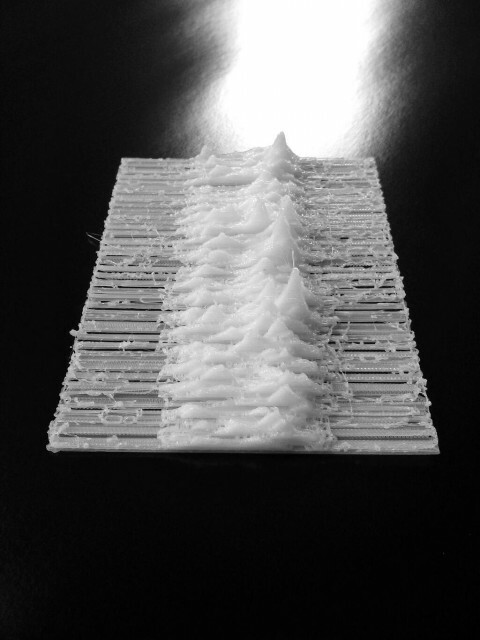 After watching Grant Gee’s documentary “Joy Division” i decided i have to print the iconic cover of their first album “Unknown Pleasures” in 3D. Unfortunately i could not find a single vector graphic or 3D model anywhere. 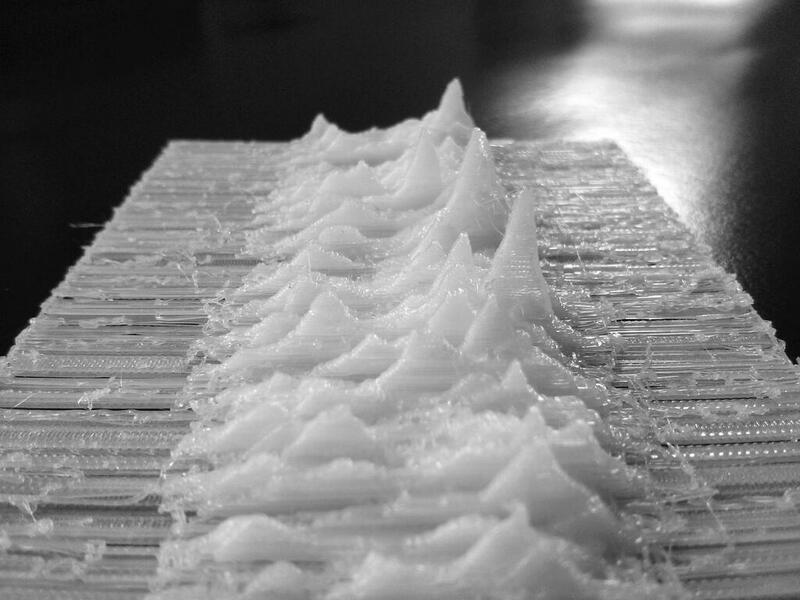 There are articles about the history of the graphics,Â Peter Saville’sÂ artworkÂ andÂ PSR B1919+21. I even tried to visualizeÂ PSR B1919+21‘s waveforms. But in the end i spend an evening tracing the waves by hand while watching ESC. The resulting SVG file was extruded and rendered in Processing with Richard Marxer’s Geomerative and my RExtrudedMesh extension. OBJ export wasÂ accomplishedÂ with OBJExport. 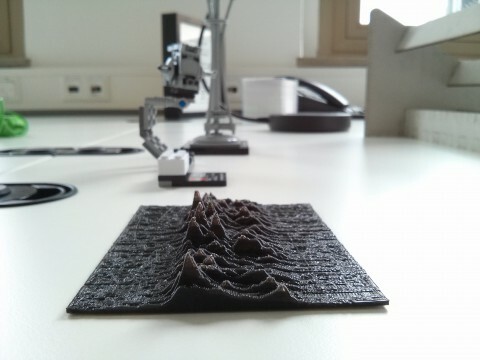 The print is still not perfect. Skeinforge did a much better job than MakerBot slicer. Maybe the white PLA filament itself was the problem.